1. The… bravery? : when released for PC, Gemini Rue was almost a one-person work. Joshua Nuernberger spent a few years, all alone, making Gemini Rue. He wanted to make the game he would love to play; we share the same goal. At Fictiorama we are not that tiny… but we are not much bigger, either. So his work is really inspiring for us. 2. The story: we love it when we see complex stories in a video game. And “Gemini Rue” features a plot REALLY worth playing it. 3. The innovation in gameplay: we have to admit we don’t fully like the innovative interface (we find it even confusing, despite the tutorials). 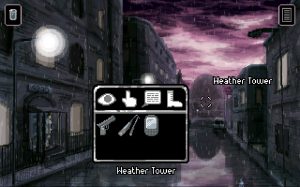 But Nuernberger deserves all of our credit, just for having tried to tight the screws of the point and click gameplay. 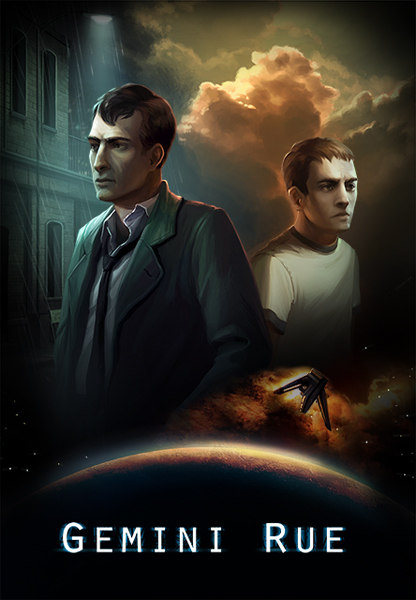 Wadjet Eye Games “Gemini Rue” was released in 2011 for PC, and has got great reviews and several awards. Having played the PC version months ago, we prefer the iOS version, as the story remains the same and some aspects (such as the arcade sequences) have been improved.